Ho Ho Ho! 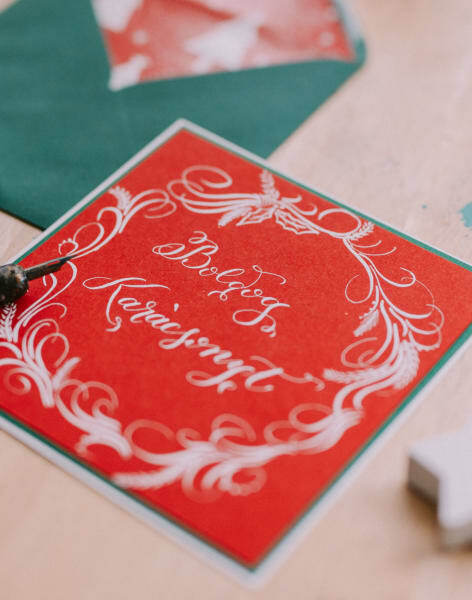 As the most wonderful time of the year is nearby, let’s gather for a cup of tea and create some lovely Calligraphy Christmas cards for the dear ones! 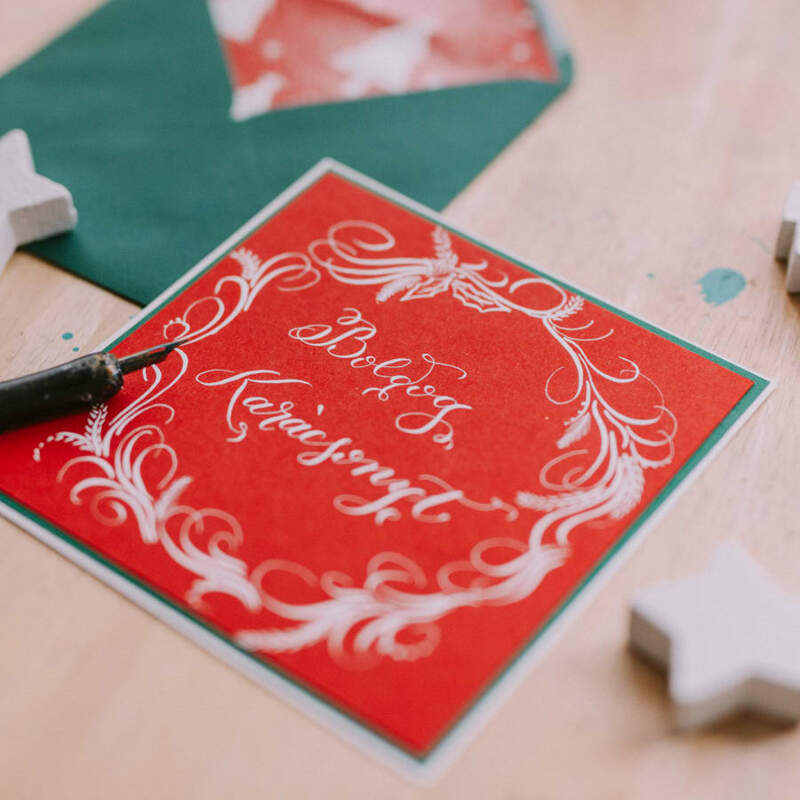 Learn calligraphy during this 2 hours workshop that will help you create fabulous Calligraphy Christmas cards in your own style! The workshop will start with an introduction to the supplies you will use during the MagInk Letters trip. Then the calligraphy exercises will begin with basic strokes and letter forms. You’ll practice the alphabet to get used to writing the letters. 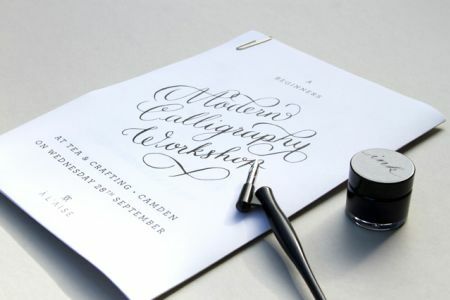 During the workshop there will be plenty of time for 1 to 1 tuition and instruction, so by the end you will be able to write your name or a few words using your calligraphy tools. Then you can choose your favorite card to write on, as well as a lined envelope. There will be available cards in different dimensions and colours, so you can also make some lovely passe partout cards. Gilded ink will be available also. 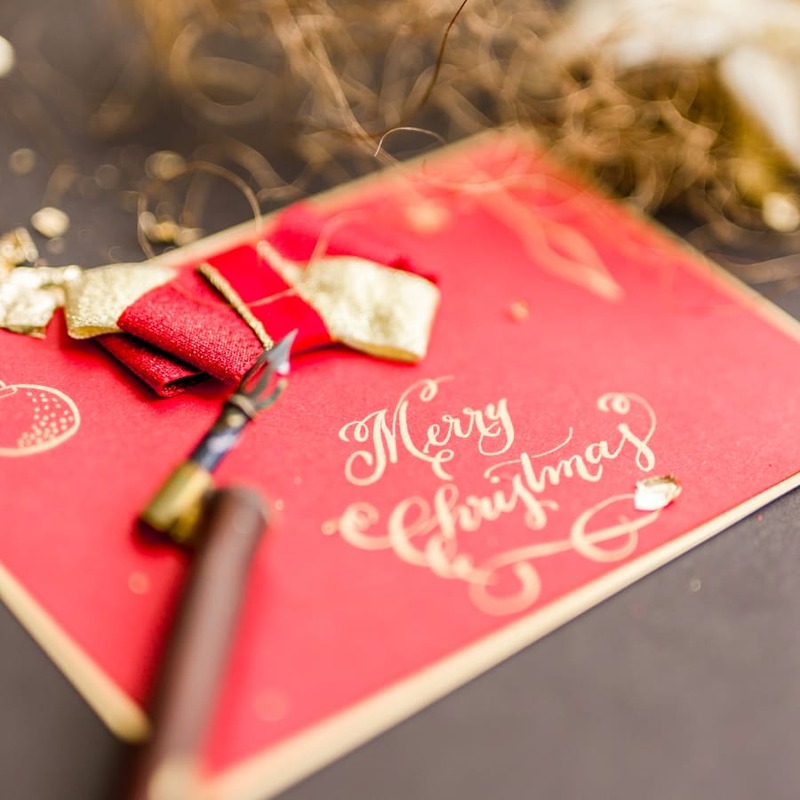 You will be able to use different inks to create a perfect match when it comes to colours for your perfect Christmas card. You’ll get guidance throughout the session, so don’t worry if you haven’t tried something like this before! You are not even supposed to have fine handwriting! Your tutor will share with you tips and tricks and you will get lots of inspiration from her work. You will take home your Christmas card, together with a calligraphy kit so you can practice this new skill! 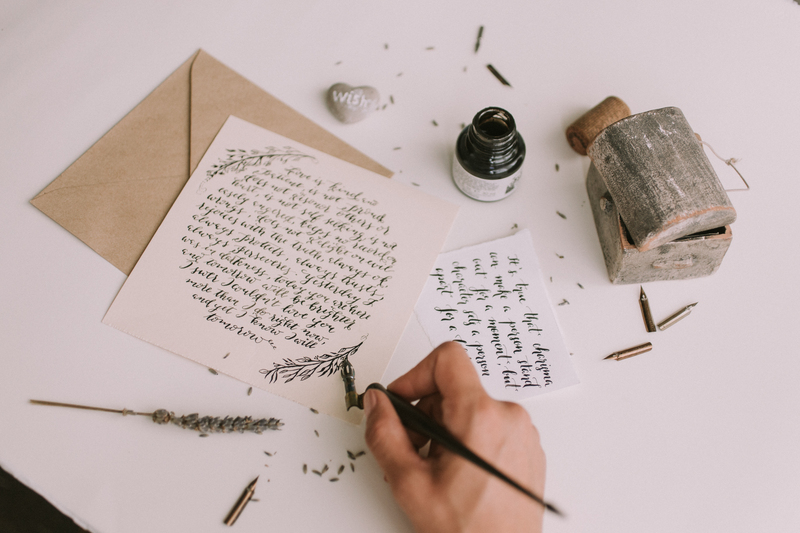 Your starter kit will include a pen holder, a nib, a black ink pot and exercise sheets that will show you how to form letters. This is an absolute beginners workshop so you need no preparation for it. We will provide all materials . It’s going to be a great way of relaxing, using just your imagination and hands. You’ll get creative, so please come prepared to have fun, relax and experience new stuff! Amalia Calligraphy works bespoke wedding and events stationery, most of it handcrafted and embellished with silk flowers made using millinery technique. The longest project she and her team ever worked for is an integral manual set that took 237 hours to fulfill. 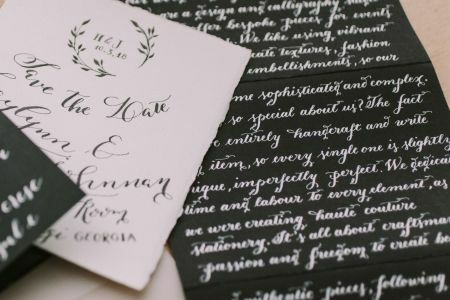 Amalia Calligraphy also creates each year a collection of printable and very affordable invitations to which she and her team add handmade details. I learned a lot of things in the calligraphic class. 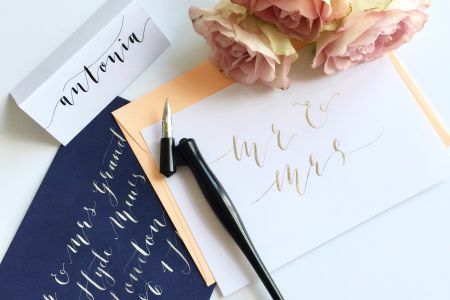 Beside the calligraphic letters, i've learned how to design the cards and how to put love and passion in what i do. Amalia taught me how to put my creativity in the spotlight and encourage me to play with powerful colours because I was afraid to do that. The atmosphere in the class was cozy and warm! I recommend this class if you want to learn more than just write calligraphic. I had a great time! The class was relaxing and fun, the teacher was a great host. I will also attend other classes she hosts on other theme! Friendly workshop for beginners! Lovely tutor! Great venue! Amalia was helpful and kind, so patient and passionate about calligraphy! Great workshop! Very creative and colorful, lots of materials and inks to use and many tips and tricks for my creative work! Great atmosphere and very Christmas like! I learned the basics of modern calligraphy, so I can now practice. This is an absolute beginner's workshop so you need no preparation for it. Supplies will be provided along with coffee and tea.